If you enjoy working in a fun, fast-paced, service-minded environment where teamwork is critical to the success of the operation, Walton Street Kitchen + Bar is the place for you. As a leader in the neighborhood dining industry, we offer many exciting and rewarding career opportunities for team members to blaze their own trail of success. Showcasing thoughtfully executed cuisine, Walton Street Kitchen + Bar is an upscale neighborhood gem providing two unique experiences to Chicago’s Gold Coast. 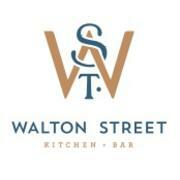 Located in the new N. 9 W Walton luxury condo tower, Walton Street Kitchen + Bar is a restaurant and lounge. Our menu has polished, straightforward dishes that tap into timeless classics with a worldly, seasonal approach. At Walton Street we take pride in an experience that lives both on and off the plate. Our team is composed of hospitality-focused people who are all experts in their fields, granting you nothing but the best in cuisine, beverage, service and ambiance. We are looking for runners, bussers and barbacks who are team players and can work in an upscale fast paced environment while showcasing what hospitality really means. 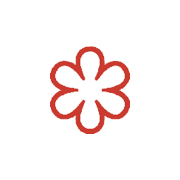 Previous experience is a must as you will be part of the restaurant opening. Open availability including availibility on Sunday and Mondays are preferred. Responsibilities include but are not limited to: politely greeting guests, effectively clearing and resetting tables, clearly describing menu items and providing support for the team on the floor. Open for Lunch, Dinner and Weekend Brunch service. Offering competitive pay and benefits. Ballyhoo Hospitality is a newly founded group, with a long history of running successful restaurants. If you want to be a part of one, apply now!